Congratulations to Randall for winning June 2016 Ride Of The Month!! 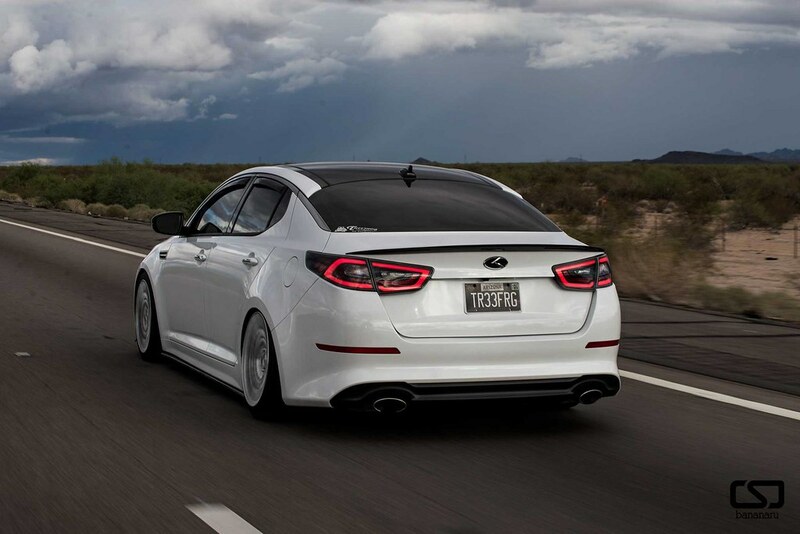 When did Kia first gain your attention? In 2011 when the body style changed, I thought it was a really sharp looking car. 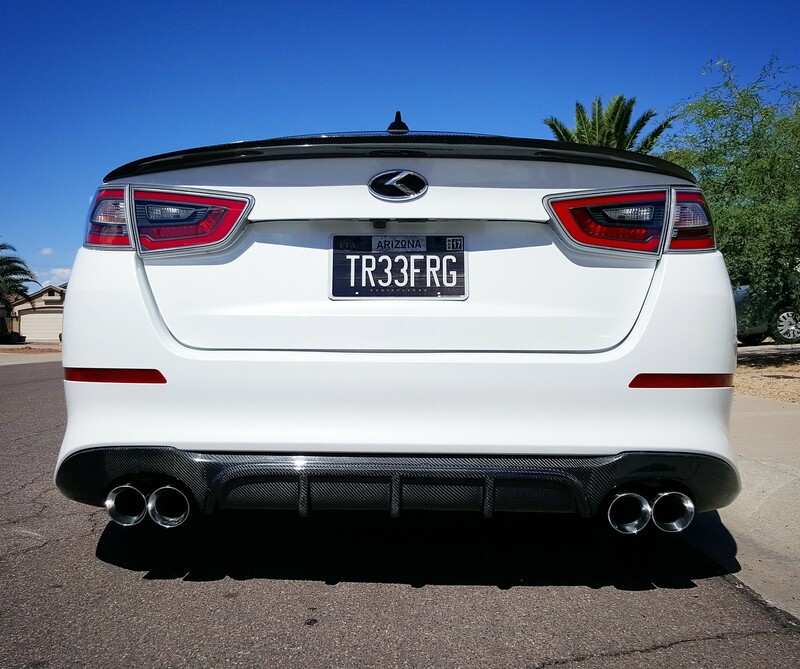 Why did you choose to buy your Optima? After several cars that I modded for speed, I wanted something different than my previous cars. 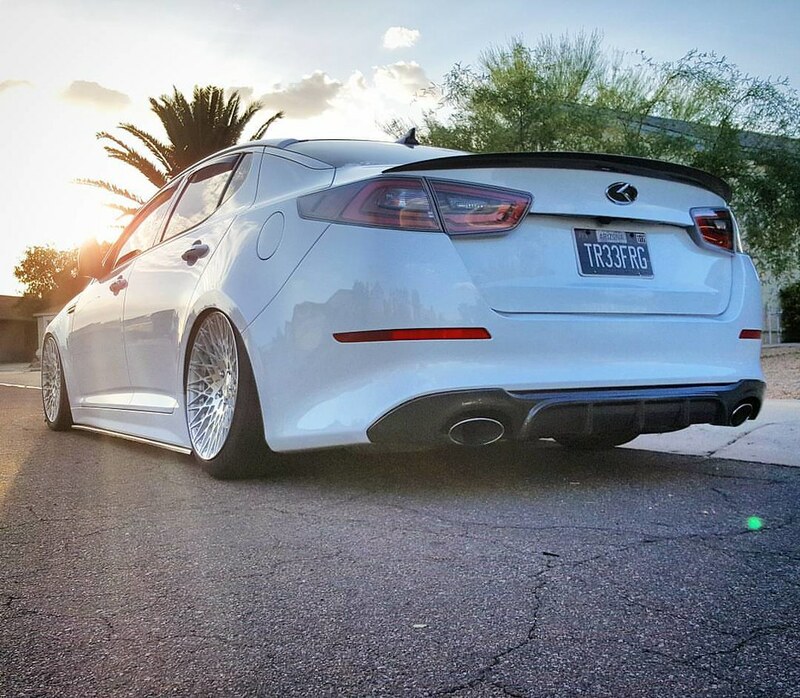 I always wanted to put air suspension on a car, and always loved the styling of the optima. Once I actually sat in one and realized how much nicer it was than my BMW, I bought one. What other cars have you modified? I've pretty much modified every car I have owned. I love the car scene. I modded my WRX for autocross use, but also made sure it was show quality. I modded my BMW for straight line speed but made sure it was show quality as well. With my business I vendor at a lot of car shows, so no matter what I have, I always make sure the cars are show quality. Where do you get your inspirations/ideas for your car from? 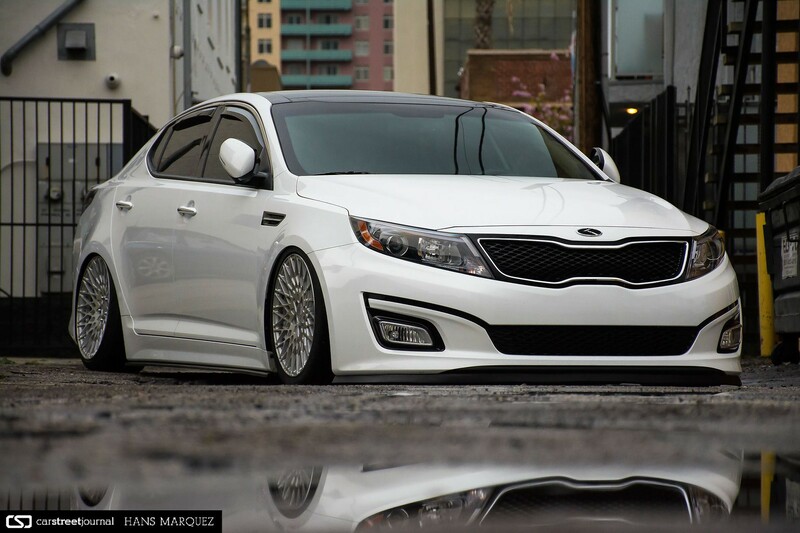 What are your future plans for your Optima? Still crossing my fingers that a front lip is made for the 14-15 optimas besides the morris one, TS carbon hood (Color Matched), Dual Projector Headlights, Then do some interior VIP type mods. Trying to hit points in all the car show categories. 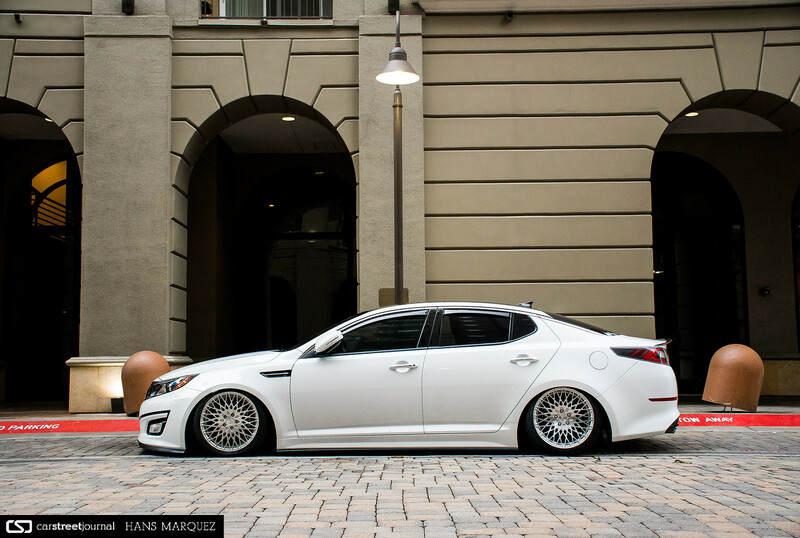 What’s your favorite thing about modding your Optima? Watching people trying to figure out what it is at car shows. Before people see the car, they ask me why I would ever get rid of my BMW for a KIA. 99 percent of the time they agree once they see it. 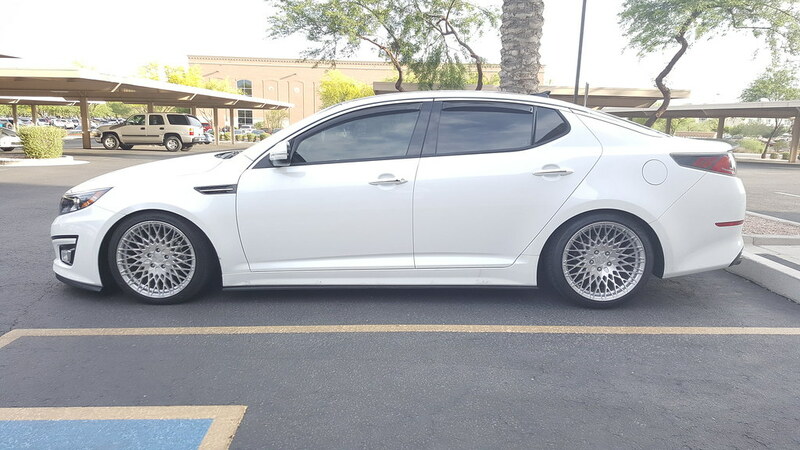 What would you tell others to convince them to drive/buy an Optima? Just get in one and I promise you'll enjoy it. My BMW interior was crap compared to my Optima. i wish the ROTM announcements would tell what type of car we're looking at. i feel like not knowing the year and trim is a big miss. just my opinion. and also ... looooove the VIP touch. 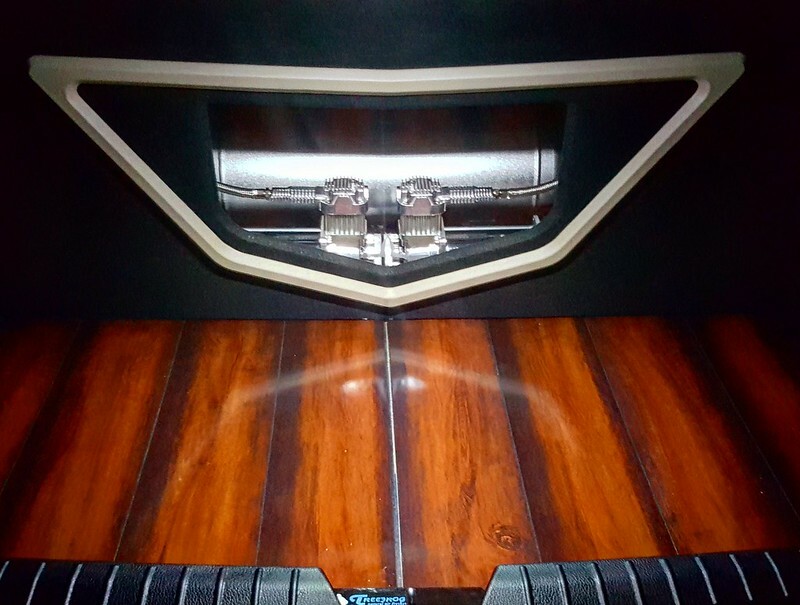 trunk looks like a dance floor. Last edited by FreshopRandall; 06-10-2016 at 12:14 PM. My Showroom - Added these cool switches that makes the car lower. Congratulations on the well-deserved win. 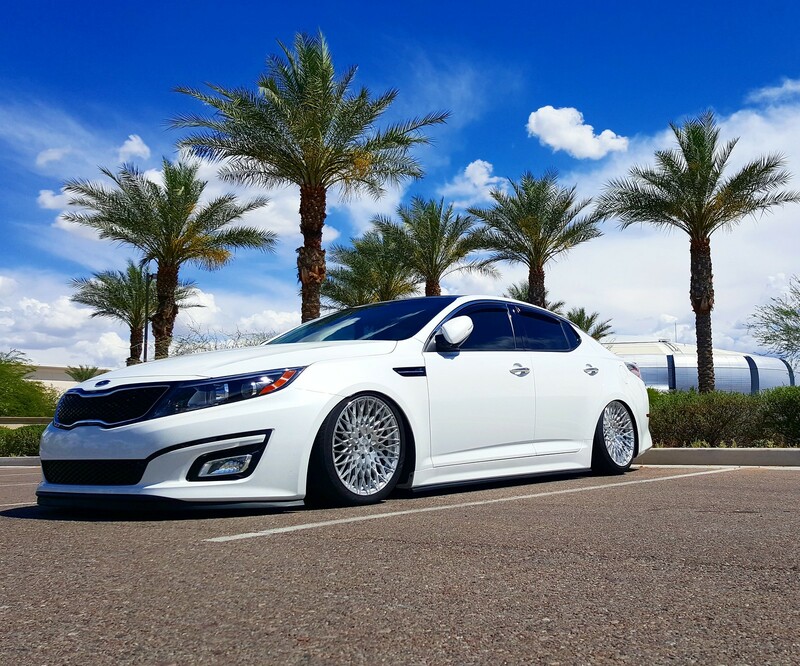 You have come along and really set your Optima apart from the rest in a short amount of time and have really done a great job of doing so. You definitely deserved it!